The anniversary of the Battle of the Somme draws to an end. WI members have knitted and crocheted thousands of poppies to contribute to a living memorial at the Museum of Military Life. 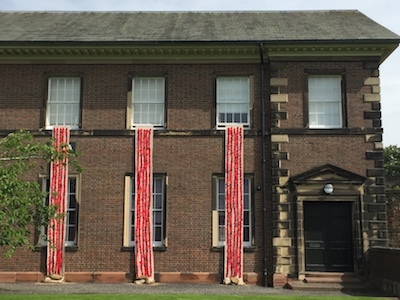 Between 1st July and 18th November, poppies halve been attached to rolls of jute which have been unfurled daily to represent the number of soldiers killed during the 141 days of the campaign. By the 18th November, the Museum will reflect the contribution these men made and provide a sobering reminder of the impact of the Somme campaign on the local population. Thank you to all members for their contribution – it has been a fantastic effort!